Swiss-Belhotel International takes its Corporate Social Responsibility seriously and incorporates this responsibility into its philosophy and corporate behaviour. 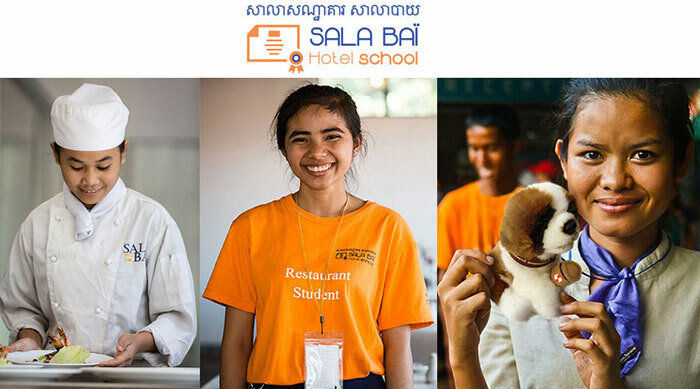 As a Group, Swiss-Belhotel International supports a special hotel school in Siem Reap, Cambodia specifically developed to educate and create careers for underprivileged and socially challenged Cambodians. This charity hotel school has been supported by Swiss-Belhotel International for many years and is also personally supported by our Chairman and President, who is an ambassador to the school.Graduates from this hotel school enter the hospitality business in Cambodia with a guaranteed employment opportunity which they would never have otherwise been able to achieve. Swiss-Belhotel International supports the school through a special initiative where our corporate mascot the St Bernard Dog (Bernie) is sold to guests as a soft toy souvenir and a portion of the sale price is donated to Sala Bai Hotel School. This is an ongoing and sustainable charity and is our way of giving back as members of the hotel profession and by Swiss-Belhotel International to the hotel industry and to a central asian nation which has had a very sad and challenging history.